Defense Minister responds to revelation of apparent spying on the IDF by radical leftists; MK asks what happened to intel they gathered. Defense Minister Moshe Ya'alon (Likud) has ordered the Military Advocate General to launch an investigation following the investigative report published by Channel 2 on Thursday regarding the radical leftist organization Breaking the Silence. The report by the nationalist Ad Kan group revealed how Breaking the Silence, which claims to be a "human rights organization," tried to gather classified intelligence about sensitive IDF operations along the Gaza border with Hamas. Already on Thursday night Prime Minister Binyamin Netanyahu announced that Breaking the Silence would be investigated, warning that it had "crossed another red line." A large number of MKs from all sides of the political spectrum condemned the group, with some noting that the attempt to collect classified intelligence is tantamount to spying. The radical organization for its part chose to lash out at Netanyahu, saying that he should be investigated for wanting to investigate them. 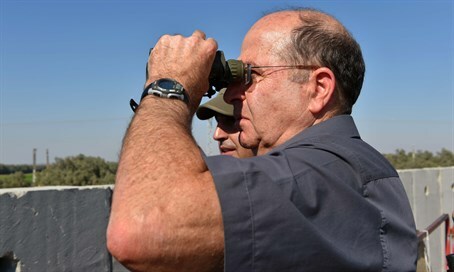 In parallel to the investigation launched by Ya'alon, MK Moti Yogev (Jewish Home) on Friday morning submitted a question to Internal Security Minister Gilad Erdan (Likud), noting how the report revealed Breaking the Silence activists "establishing a methodical system to gather information about IDF forces on the borders of the country." Likewise he pointed out that the activists were shown to have planted a female soldier in a particular unit so as to gather military information about the unit from her. "I was informed that a request was made to the security services and the police regarding this matter several months ago. I want to ask: was a search/investigation conducted by the police? What happened to the classified materials in the hands of the organization? Were criminal steps taken against Breaking the Silence members?," asked Yogev.